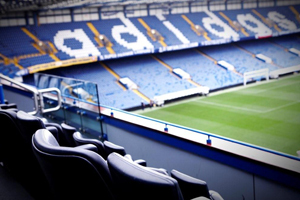 Chelsea Football Club is on the verge of selling out next season's 5,500 seats, 50 executive boxes and 17 private suites thanks to a surge in demand for corporate hospitality. The club, which said it had received the highest-ever volume of enquiries, added that all that remained of the 2012/13 season's hospitality packages were a "few Millennium Suites". Bookings are up 20% compared with the same period last year. Simon Hunter, Chelsea’s head of venue and brand, said: "As a club we have long believed that corporate hospitality is one of the best marketing tools to develop new and existing client relationships. "We’ve engineered our hospitality experiences at every level to reflect this, and to provide the highest quality catering, facilities and hosting across all our fixtures. It is therefore very positive to see such an interest in seasonal tickets for 2012/13."